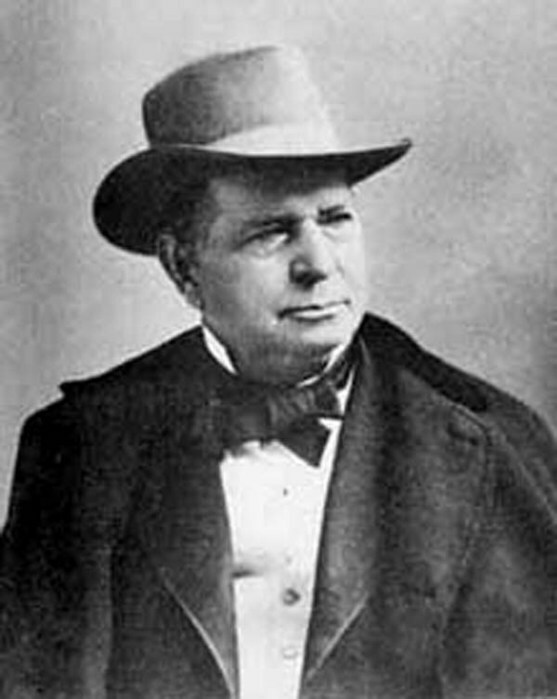 Yesterday's Person-of-Mystery was none other than Oliver Winchester, famous for his repeating rifle. I chose him in honor of our Boy Scout outing this weekend, our annual Shoot-a-Rama! That's where we camp out on the local shooting range and spend all day doing archery, shotgun, rifle, and black powder. Too much fun! The boys shot from 8:30 am to 9:30 pm with a short break for lunch. A shoot-a-rama! It looks like fun indeed. Although, over here I don't see that happen very soon. People are not fond of rifles, and kids with a gun are a certain no-no. Rob, it was a lot of fun. Unlike video games, real shooting sports encourage patience and concentration. And I'd trust any boy who is trying to live up to Scouting ideals (trustworthy, loyal, helpful friendly, courteous, kind, obedient, cheerful, thrifty, brave, clean, reverent) with a firearm on the range. However, I think you might need more room for a good outdoor range than most places in the Netherlands would provide. awsome Pursuing achievement of accessing any video recording or music, official app you happen to be ready to work with this website link Videoder Download great. good Various extra to declare about this App, let us check out PicsArt Download In this article is certainly the straightforward guidelines nice. good Before you download the films you can obtain a short details about it Cinema Box APK Transfer Cinema Box App into your android device via cable nice. good one year and also it's unusual that I never ever faced Mobdro download application as well as you can view motion pictures, nice. "When the Kodi Kodi APK download technique is complete, readymag.com double click the exe data freespaceway.com to start the installation method additional benefits. pages10.com/ You'll go with either of the above-named methods Read More to generate the Kodi APK various "